The calendar in October is full of art-related events; it’s easy to build a weekend. You and your family can start with the 28th International Festival of Raleigh, a three-day celebration of music, food, and culture from around the globe, October 4-6, 2013, at the Raleigh Convention Center. Explore the world through main stage performances (traditional ethnic dances performed by artists in authentic dress); cultural exhibits (presenting the rich history and traditions of many different cultures); world bazaars; sidewalk cafes (with culinary offerings to tempt any taste bud); arts & crafts, cooking and dance demonstrations; a Biergarten (with dancing and a stage featuring bands and musical performances); a naturalization ceremony; and Sophia’s Corner for the kids (including face painting, storytelling, and games). Did I mention the food? A weekend’s worth of mandu dumplings, shoo-fly pie, tabouli, gravlax, mussels with coconut curry sauce, gnocchi, baklava and profiteroles…just to name a few. Taste your way through the cafés and learn to make some fabulous new dishes! 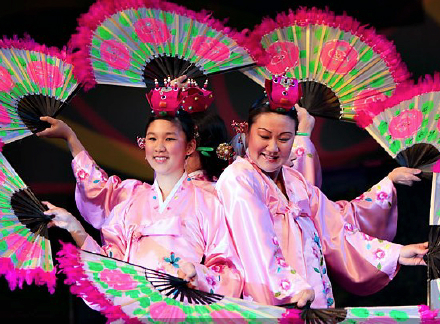 This annual event supports North Carolina&apos;s multiculturalism–nearly 60 international groups who call the Triangle home–while celebrating the culture, arts, and cuisines of the world. Follow us on Twitter and watch for Festival ticket giveaways!